This giveaway is now CLOSED. Thanks so much to our wonderful sponsor BEARPAW! We look forward to working with you again! The winner is 'miriama'. Remember: There are great giveaways active on the upper right hand side of the page! Last year I developed a love affair with Bella. No, not the Twilight Character. The Boot. Yes that's right, Bella is a boot. A purple, bold, fearless, warm, Boot. The day I took Bella out the box, I wore them ALL day long, only taking them off at bedtime. 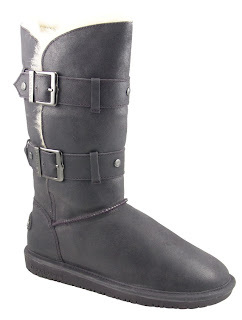 You can check out the review for the BEARPAW Bella Boot HERE. While I've never been a snarky blogger and have never used my blog as a forum to call anyone out who doesn't make me happy, I can share that brands I ask back again, are brands that really stand out. Products I'd buy for myself and family whether I was blogging or not. Brands and products I believe in and grow to love. I really beat my BEARPAW Bella Boot up last winter, and they are still standing. And this year BEARPAW is back with another amazing, toasty warm pair of boots, boots that are like a comforter for your feet! Ƹ̵̡Ӝ̵̨̄Ʒ - Heel Height: 1"
In my experience, BEARPAW Boots run true to size, I have not had to size up or down. The Taylor boot fits me true to my regular size. They are pull ons, but for me I had to undo the buckles to get into them, I also noticed that they are a snugger fit than the Bellas, but that's actually a good thing, as a result of the perfect fit I find that these are actually warmer. I've already worn these on a very cold rainy night, and I was wearing only a cardi over my sweater, and with these boots I was perfectly warm! 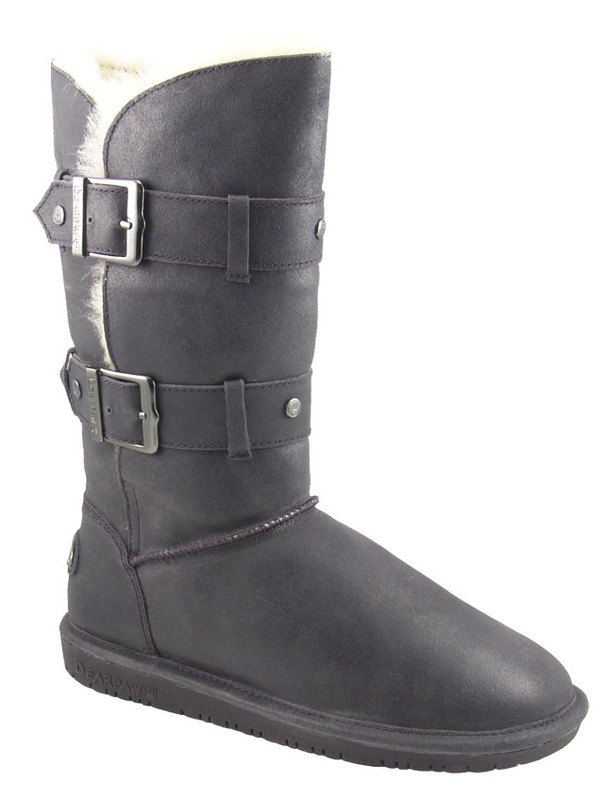 I love that these are way more stylish than my Bella's, with the buckle details on the side and the metal logo plate on the back, these are very 'me', and very 'NYC Girl', the black color, tough on the outside looks yet sweet and warm on the inside! It's as if the BEARPAW boot elves had me in mind when they crafted this pair because they couldn't be more perfect! If you want warm and stylish, and you refuse to sacrifice form for function, than the Taylor's are definitely for you! Don't you just ♥ BEARPAW? I know I do! FTC Disclosure Info for this Giveaway: I was provided product to facilitate the review and giveaway. No monetary compensation has been received. The sponsors are fulfilling directly to prize winner(s), this in no way influenced my opinion of the products. Once a winner is selected and their information has been forwarded to the sponsor, the responsibility of prize fulfillment rests with the sponsor. I'm following AscendingButterfly and TracyIglesias. My twitter is @nouvelle. I'm following this blog publicly as kitschy on Google. My email: kitschytumblr at gmail dot com. I like these boots in brown- super cute!!! I follow bearpawshoes on twitter, SelindaMcCumber. I like the Constance in Hickory. I entered the Smartlight giveaway. Thank you for the chance to win some boots for that special girl in my life! I follow @Ascending1 on twitter as @bikeohio. I follow @bearpawshoes on twitter as @bikeohio. I "Digg" this giveaway as bikeohio. I follow Asccending Butterfly on FB as Jay Cee. I follow Ascending Butterfly on Networked Blogs as Jay Cee. whoops I thought I had already entered this when I tweeted. I like the Emma boots!